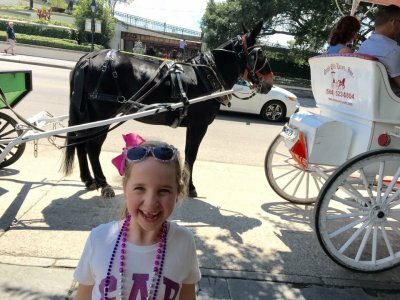 Family Reunions in New Orleans | Experience New Orleans! New Orleans is a great spot for family reunions for the same reason it’s one of the world’s top vacation destinations – because there is something for everyone here. From the oldest member of your family to the youngest, from the history buff to the outdoors fanatic, from the early risers to the all-nighters, NOLA has you covered. U.S. News and World Report named New Orleans the number four "Best Affordable Destination in the USA," which means every member of your family can find what they’re looking for here in terms of hotels and restaurants. For additional savings on top restaurants, hotels, tours and attractions, we invite you to check out NewOrleansCoupons.com. Also, take a look at Free Stuff for Families to Do. Start planning now, and let the team of locals at Experience New Orleans help. Nobody knows NOLA like we do. We’re proud of our city and want you to have a good time. Email us at info@experienceneworleans.com if you have any questions. In the meantime, here’s some information you may find helpful when building your family reunion intinerary. New Orleans has a friendly climate year-round but spring and fall are the best times to come if you plan to spend a lot of time outdoors. Or you may want to plan your reunion around one of our world-famous festivals such as Mardi Gras or Jazz Fest. Check out our calendar of events. 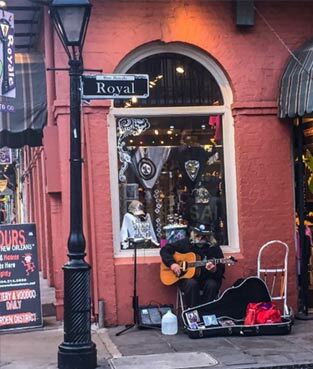 While there will be times when everybody wants to do their own thing and you want to just gather for meals, New Orleans does have several opportunities for group activities. You can take a jazz cruise on the Steamboat NATCHEZ. You can all board a historic St. Charles Streetcar to view the mansions in the Garden District. You can head out to the bayou where you can see huge alligators, wild boar and other critters in the wild. You can go ghost hunting on a walking tour. You can even learn how to cook gumbo or jambalaya together at the New Orleans School of Cooking. Start building your itinerary with the links below. City Park is the perfect place to reconnect and make new memories. Barbecue, take a boat ride, play touch football on the Great Lawn! 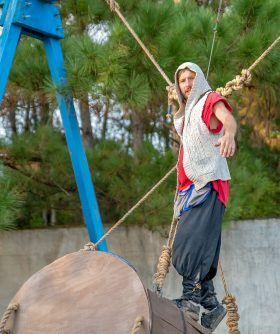 City Park is home to a Storyland (a children’s play area), Carousel Gardens Amusement Park, the New Orleans Museum of Art, New Orleans Botanical Garden and more. Families have been loving it for decades. Learn about the new Reunion Shelter here. Huge live oak trees, peaceful lagoons, lovely green spaces…is it any wonder that every year millions picnics, walk, run and cycle at Audubon Park? Learn more here. Behind Audubon Zoo across the Mississippi River levee is an area locals call the Fly. It’s the perfect place to barbecue, have a crawfish boil, or toss around a frisbee. Learn more here. In New Orleans, “family restaurant” means more than coloring books and chicken nuggets. For a complete guide to restaurants in all prices ranges in neighborhoods all over the city, click here. Begin or end your reunion with an evening at one of our party venues. You’ll find all the information you need for an evening you’ll never forget at NewOrleansParties.com. You’ll find everything you need to make your decision at BestNewOrleansHotels.com Along with the city’s famous luxury hotels, you’ll have your choice of economy, national brand family hotels and quaint BBs and townhouses where you can all stay together. Have You Considered a Cruise? New Orleans is one of the most popular cruise ports in the country. Learn more about adventures departing from the Crescent City here.